Correct. Road work zones have additional hazards and speed limits are lower there because of this. Speeding through a road work zone is dangerous and you will receive a fine and demerit points. When driving through temporary roadworks you should slow down and look for hazards. Roadworks can create a number of rough or undulating road surfaces which can damage a vehicle's suspension. If tarmac has been scraped away there can be a drop in the level of the road which can be sudden. Hitting this at speed can cause a vehicle's suspension to bottom out, and on a motorbike it can unsettle the rider. Roadworks create loose debris such as stones on the road surface which makes it more slippery. Roadworks can remove painted lines which means it is more difficult to see where the lanes are. Potholes and other severe dips can be created which can cause damage to suspension and form a hazard for motorcyclists. 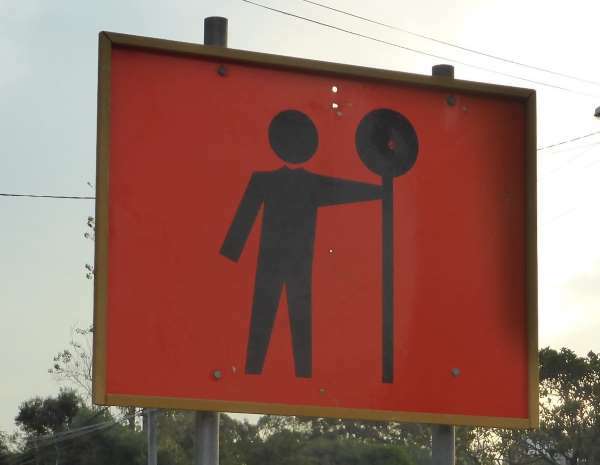 At roadworks there will be road workers working on the road. Speeding vehicles can throw up stones, and also there's always the risk of hitting someone working there. Large machinery may need to move around and this could mean that you need to come to a stop quickly. The lanes might be narrower or only open in one direction at a time.